Why Is A Wedding Ring Worn on a Woman's Left Hand? Why Is A Wedding Ring Worn on a Woman’s Left Hand? 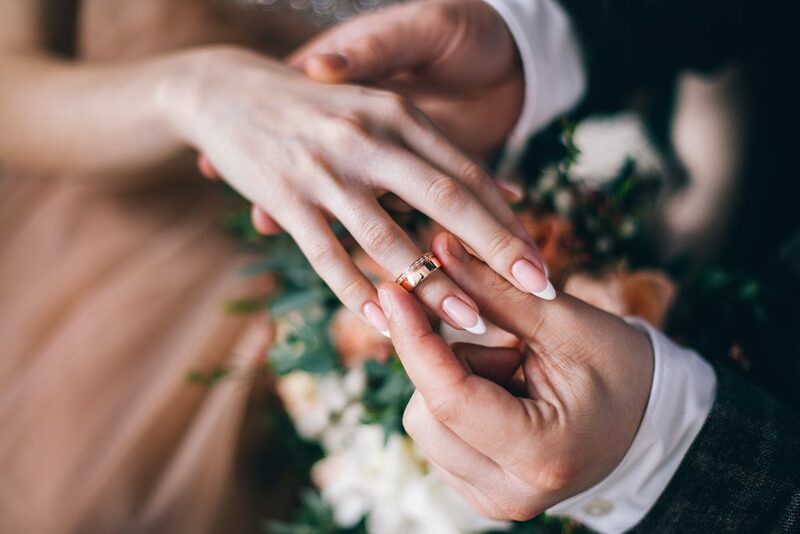 Wearing a wedding ring (and engagement ring) is a time-honored tradition that dates back to ancient times, a symbol of the love and devotion that you pledge to your spouse. But how to finance an wedding ring with bad credit? 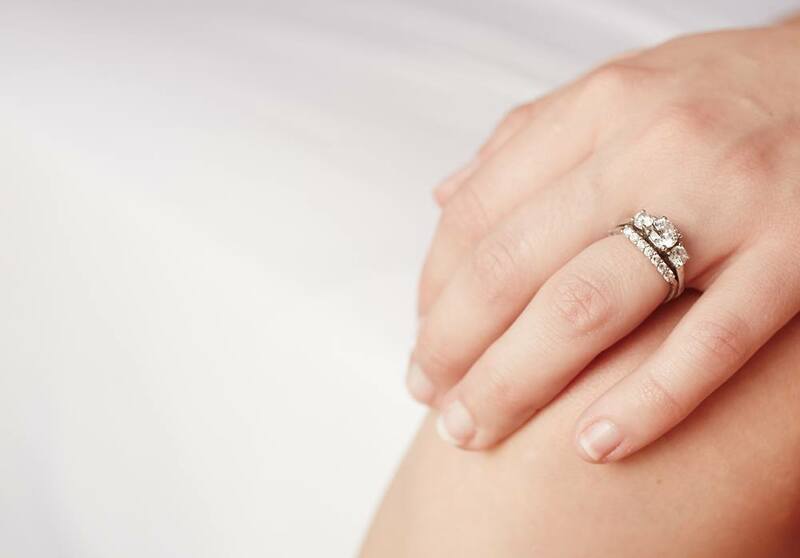 Why do we wear our wedding rings on our left hands? Are there alternative options for the less-traditional bride and groom? Traditionally, individuals wear their wedding rings on the ring finger of their left hand. Often, brides will wear their engagement ring there until the day of their wedding. On their wedding day, brides traditionally move their engagement ring to their right hand and leave their left hand open for their new wedding bands. After that, tradition varies— most brides choose to move their engagement ring back to their left hand, above the wedding ring. Some opt to leave their engagement ring on their right hand and keep their wedding band solo on their left hand. Other options include soldering the two rings together, only wearing one or the other depending on the occasion, or buying a diamond wedding ring to replace the engagement ring. There are no rules as to whether the bands need to match, sit flush together, etc.—choose what works for you, as those details are all about style and personal taste. Why Wear the Ring on the Left Hand? The tradition dates all the way back to ancient Rome. The Romans believed that the left ring finger contained a vein that connects back to the heart directly (vena amoris), while the circular shape of the band symbolizes eternity and the notion of immortal love. Thus, by wearing the ring on your left finger, you were connecting your spouse to your heart and telling the world that your partner was the closest thing to your heart. Science has since debunked this belief, but the tradition holds strong. Just because tradition dictates you wear your wedding ring a certain way doesn’t mean that there are any hard and fast rules. In fact, in some countries, including in Russia, Greece, and Colombia, the right hand is the preferred hand for wedding rings. For the left-handed, you may save your wedding ring from being scratched or damaged by wearing in on your right hand, out of the way of daily tasks. Additionally, as mentioned before, you can choose to wear your engagement ring on one hand and wedding band on the other, or forgo one (or both of them) altogether. If you don’t want a wedding band at all, have your groom slip the engagement ring back on your finger during your wedding. 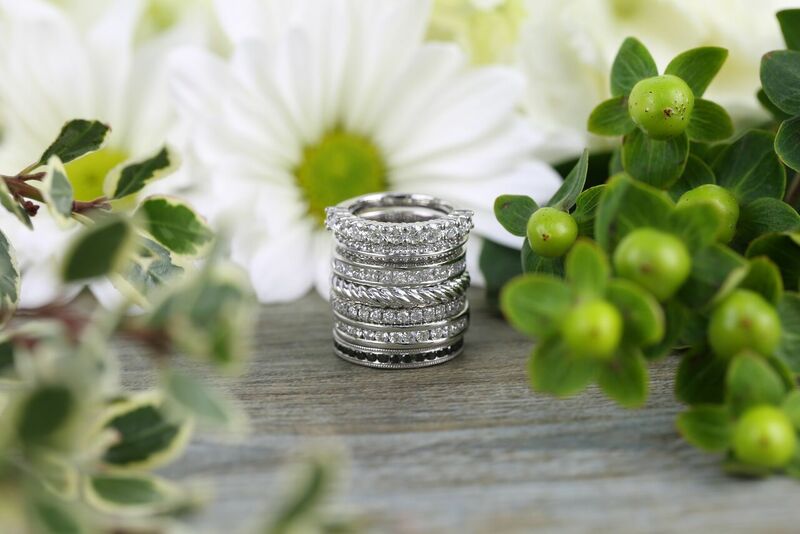 Some brides who really love rings are now opting for a ring stack look! This entails purchasing multiple wedding bands to layer on either side (above and below) of your engagement ring. 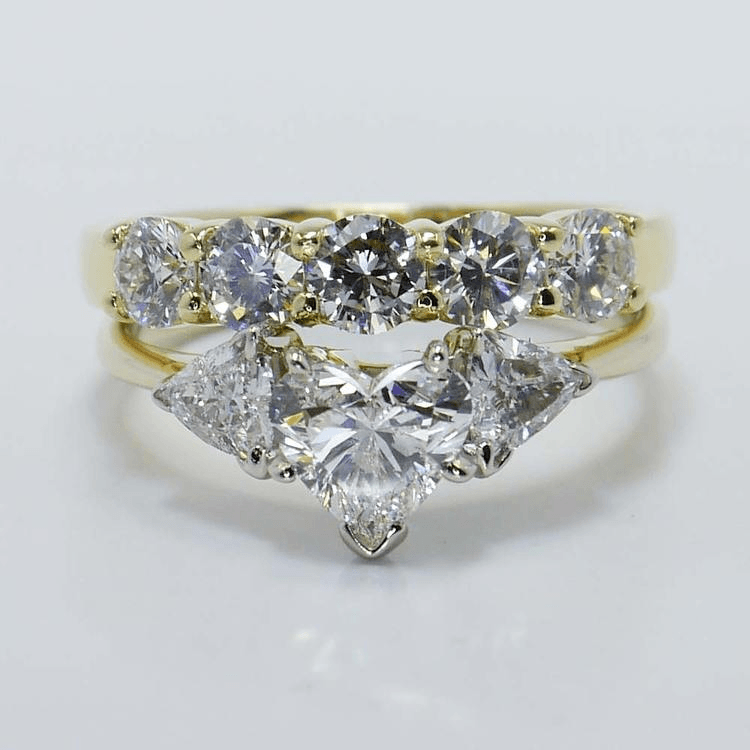 You can opt for something jeweled, plain, inscribed, etc.—whatever fits your style and makes your engagement ring stand out the way you want it to. It’s totally up to you and your personal taste. Heck, you can even mix and match them if you prefer!